Much of the US government remains in shutdown as I write this, including the IRS. That might sound like a good thing… unless you’re hoping for a tax refund anytime soon. Fortunately, the White House found a solution: redefine the IRS workers who process refunds as “essential” and order them back to work, although without pay, for now. I’m sure they are thrilled. A newly elected member of Congress stoked up the debate this month. She may have opened a box some folks would like to keep closed. 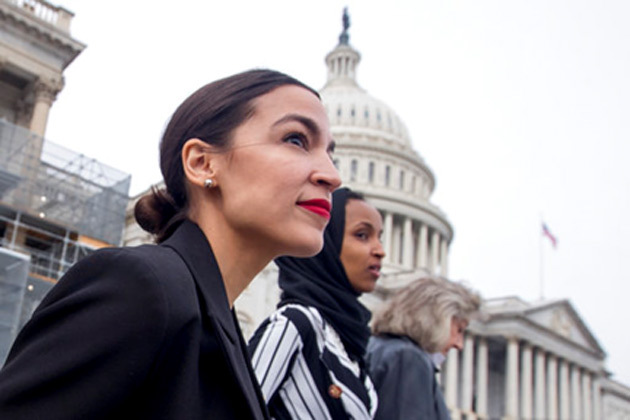 To pay for the Green New Deal, Ocasio-Cortez proposes raising the tax rate on income over $10 million to 70%, yes, 70%. That’s far more than even the wealthiest Americans pay now. As you might expect, some people flipped out. Here’s a tweet by House Minority Whip Steve Scalise (R-LA). Assorted commentators said “AOC” Ocasio-Cortez obviously doesn’t understand how all this works. Maybe so, but Rep. Scalise obviously doesn’t either, and he’s been in Congress much longer. In this proposal, it would take away 70% of your taxable income above $10 million per year. In other words, if you make $10 million or less—which describes almost everyone—AOC’s proposal wouldn’t change your taxes at all. That’s because we have a graduated tax system. The rates look like this (for an unmarried taxpayer). The rates rise as income rises, but don’t apply retroactively to income below each bracket. So if you make exactly $10 million in taxable income, your tax would be $3.67 million under the Ocasio-Cortez proposal, the same as it is now. At $11 million, you would pay another $700,000 in taxes (70% of the additional million), making your total liability $4.37 million. Your effective tax rate, averaged across all your income, would be 39.7%, not 70%. In fact, what Scalise said in his tweet is impossible. Mathematicians call it an “asymptote.” The effective rate can never be 70% as long as that first $10 million is taxed at lower rates. No one would have 70% of their income taken away, even if AOC gets what she wants. It could get close at high income levels, though. At a $3.3 billion income, the effective rate would be 69.95%. So Rep. Scalise is correctly concerned for the handful of Americans who make that much. Having cleared that up, let’s get to the bigger point. Is a new 70% tax rate on high incomes a good idea? Well, it would raise some money, but nowhere near enough to pay for all the programs Ocasio-Cortez and other progressives want. A Washington Post analysis estimated it would bring in an additional $72 billion yearly. The reason is very few Americans make more than $10 million yearly—only about 16,000 did so in 2016, according to the latest available data. That’s not the fabled 1% upper class. It is the far more exclusive top 0.05%. To collect really big money, such a tax would need to apply more broadly. Raising theat top rate from 37% to 57% for the top 1% of taxpayers would yield about $170 billion per year, calculates former Treasury economist Ernie Tedeschi. Even 57% would be a huge increase from present levels, but it’s not unprecedented. According to data from the National Taxpayers Union Foundation, the top bracket was 70% or more from 1936 to 1980, and usually applied to income well below $10 million. The economy survived and sometimes even thrived in those years. Even today, people in parts of Europe pay much more than Americans do. Most don’t seem to mind. I think the deeper problem is not the amount of taxes. It’s that people think the system isn’t fair, or the government doesn’t provide useful services. That’s not entirely wrong but fixing it will take more than higher rates. But I’ll bet AOC learns that quickly. For now, this idea will go nowhere. There is no way the Republican Senate or President Trump will agree to anything remotely like Ocasio-Cortez envisions. 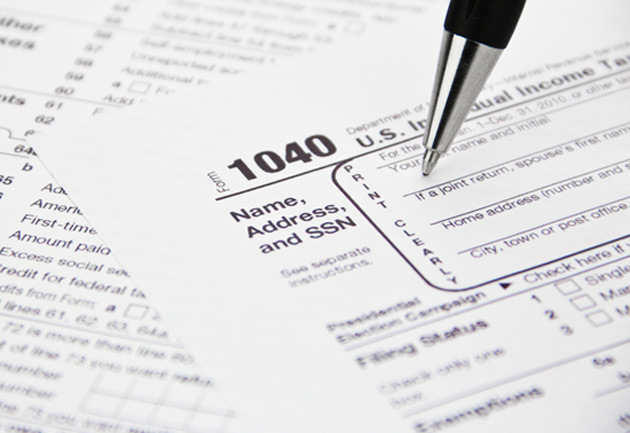 If you’re a wealthy person who thinks your taxes are too high, you ought to be concerned. By saying these things out loud, AOC put a ball in motion that some Democratic presidential candidates will pick up in the 2020 campaign. Further, she’s proving adept at communicating with young voters. Raising their turnout could make a big difference in the next elections. And if Democrats keep the House, take the Senate, and put one of their own in the White House, higher taxes are all but certain. Now, people who make $10 million or more are generally pretty smart—or they at least have good tax advisors. They’ll see this coming and get ready for it. Therein lies a problem for everyone. If wealthy taxpayers start trying to capture open gains in their stocks, real estate, and other assets before tax rates rise, it will put downward pressure on those asset prices, which in some cases are already wobbly. I’m not saying this will set off a crash. But if the perception grows that tax rates will soon increase sharply, more people will try to sell, and prices will soften. At some point, there may be a rush for the exits. You want to be out before then. Senior Economic Analyst Patrick Watson is a master in connecting the dots and finding out where budding trends are leading. Patrick has partnered with John Mauldin as the co-editor of Mauldin Economics’ premium research service, Over My Shoulder. Together, they curate research and analysis from the world’s finest thinkers, and deliver it to subscribers 3–4 times per week. You can also follow him on Twitter (@PatrickW) to see his commentary on current events. Interesting but not daring. You should be bold and talk about the sensible spending reforms that are needed to trim social security and medicare. Go ahead, I dare you.